Smart electric installation replaces its classic predecessor, which consists mostly of lighting and circuit outlets. Smart system works with new, user-friendly functions. Lighting control remains the basic function. 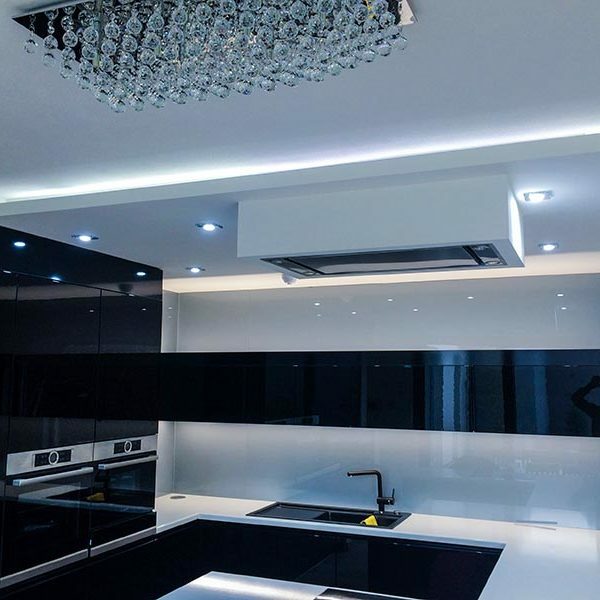 It is therefore necessary to determine the number of lighting circuits and types of lights in advance (lamps, fluorescent bulbs, LEDs, adjustable lights and their power). In a smart system, each lighting circuit has its own power supply from a distributor. Lighting setting also controls power outlets for night lamps or mood lamps in your living room. The advantages of a smart system include setting up a variety of lighting scenes, automatic lighting control (lights turn on upon your arrival or when entering a room), or an in-house presence simulation during your holiday (indoor and outdoor lighting control). The lighting itself can be automatically dimmed or turned on/off (by movement sensors monitoring intensity of the lights, or by timers). With the possibility to divide lighting into groups, the smart system allows these groups to be controlled individually and thus create lighting scenes. Using the controller, you can simply choose the preset lighting scene (e.g. dimmed lighting while watching TV, dinner table lighting, etc.). You can choose from indoor and outdoor, or vertical and horizontal types of blinds. In order for them to respond to the smart system, an electric control must be enabled. One of the possibilities is a 230V power supply, often used with outdoor blinds or low-voltage power supply used with indoor blinds. Each independently controlled blind must have a distributor outlet line. A cable must correspond with the specific type of chosen blinds. If you are not considering an immediate installation of blinds, it is still recommended to have cable interconnections prepared in advance, and in case of future system expansion to keep a spare line in the electric distributor. Smart system offers an arbitrary control of blinds – moving them up and down, or rotating the slats. Aside from switch control in a room (similar to a light switch), it is also possible to control any group of blinds by one button (e.g. on different floors or in the whole house at once). For instance, blinds are automatically closed and lights turned off once you leave the house. 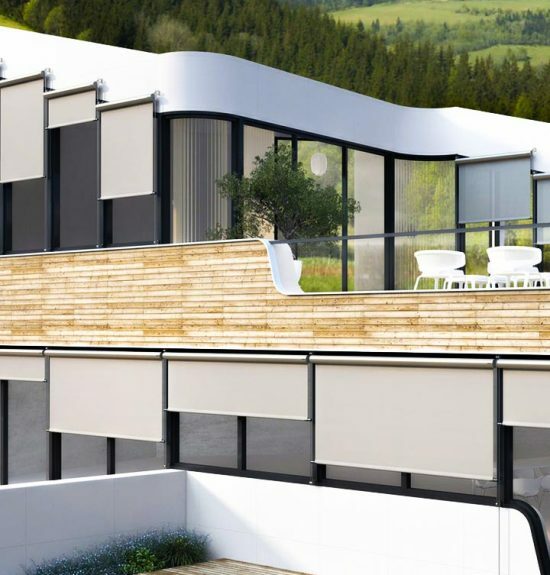 To protect horizontal blinds from strong wind, the system pulls them up automatically. The system also offers automatic control to support heating and cooling by adjusting the blinds according to the weather. Blinds control allows to cover skylights or light-guides as well, closing them automatically during rain. Control systems enable you to program heating and cooling by defining the wanted temperature range and height in particular intervals of time. Using the air temperature sensors, modern heating systems allow for optimal operation and temperature setting. Smart home bus system uses these sensors to monitor the room temperature and compare it with the temperature in the settings, thus providing users with a knowledge of the actual state of room temperature and allowing them to adjust the heating to their liking. During summer, when outdoor temperature is particularly high, the central system controls outdoor shading blinds to ensure automatic cooling. When cooling by blinds turns insufficient, the AC starts running automatically. 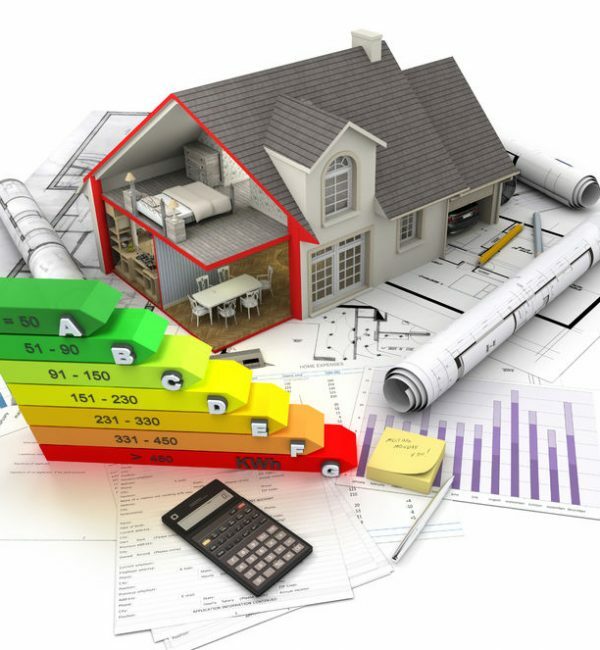 Controlled heating regulation, AC, and heat recovery in each room often brings energy savings up to 40%. Smart home security system not only detects the presence of unwanted persons in your home, but also protects your well-being. After assessment of the situation, the smart system performs required tasks, notifies of the intrusion, turns on the lights, audio and light signalization, etc. In case of gas leak, flooding or fire, the system turns on audio signalization to wake up everyone sleeping in the house to avoid gas poisoning or burning, and notifies responsible people of the critical situation to provide help. Security systems work in different modes – Full Guard, Night Guard, Holiday, etc. For instance, the Night Guard mode enables the smart system to guard the garden, terrace, garage or basement. You and your family can move freely inside your house, but any attempt of intrusion will be immediately registered by the outdoor guard detectors. If your house has more than one floor, you can select the Full Guard during night and turn off the security system in other rooms. Use the Full Guard when leaving the house for work or holiday, so any opening of the door or windows, or any movement inside the house starts the alarm and sends notification of intrusion to you or the police. Thanks to the individually controlled subsystems, the complete system effectively adapts to your unique lifestyle, thus providing maximum security. 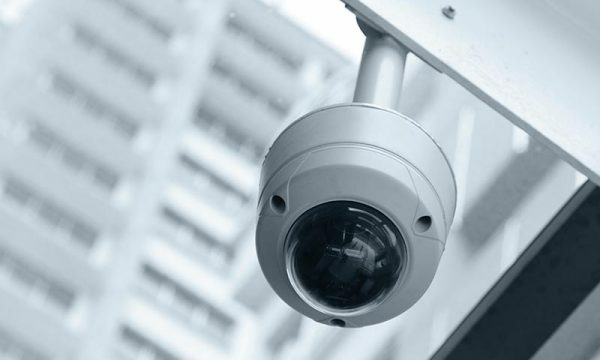 Camera systems become a necessity in modern houses, hotels, industrial buildings, entertainment and sport facilities, and everywhere where an effective guard is needed. Camera system provides constant visual monitoring of the area, visualization and documentation of events, detection of movement and recording of video footage. Camera visualization in smart electro installation is secured not only in the central visual unit, but also on a cell phone, iPad or a computer. Access to camera image is secured online via web interface and internet. Access system provides a controlled access for persons entering the area. Classic locks and keys are replaced by identification cards or chips, fingerprint or face scanners. The system offers a comfortable solution to access individual areas in which it is installed. 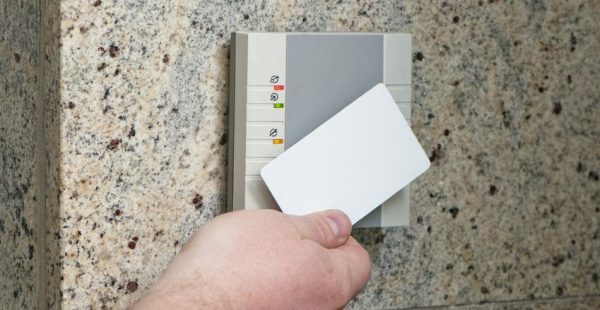 It enables a connection to the smart system and comfortable door and gate opening. Outdoor IP video doorman unit works as a part of the access system with a connection to the indoor central control units. Beautiful garden and lawn completes every home. In order to achieve that, you need one of the most important parts of garden maintenance – a regular and balanced watering. The smart system controls garden irrigation through humidity sensors, and it won’t let your garden dry out even in your absence. In case the water supply closes automatically when you leave the house, the smart system opens it at the set time of watering and after completing the task the water supply closes again. Irrigation systems of simpler gardens are possible to control via cell phone. What if your water or gas pipes burst and you’re not home to save the situation? It’s easy. Your smart home security system notifies you as soon as it happens, so you can prevent major damages to your property. If you leave the area, the smart system turns on the guard mode and automatically closes the water and gas supply. If the smart system needs the water, for example for irrigation, it opens the water supply and closes it after completing the task. System control is easy and intuitive. It adapts to any user. It regulates the room temperature, controls blinds, turns on the driveway lights, turns off the forgotten lights, plays movies, music, or projects slides for your guests while you prepare refreshments. The smart system controls blinds automatically according to the outdoor light, day time or another factor. It takes care of garden irrigation and prepares your room temperature before you come back from holiday. Preset your scenes (multiple tasks by one button). Turn on selected lighting, adjust the blinds, or turn on music – all by one button. For example, create a pleasant lighting atmosphere while watching TV, for a favorite book reading, if you have guests over or organize a party. If you are leaving the house, you can turn off all lights in the house, disconnect selected sockets, close blinds, lower the room temperature, and activate the security system just by pressing one central button. You will no longer forget to turn off your lights or your iron. 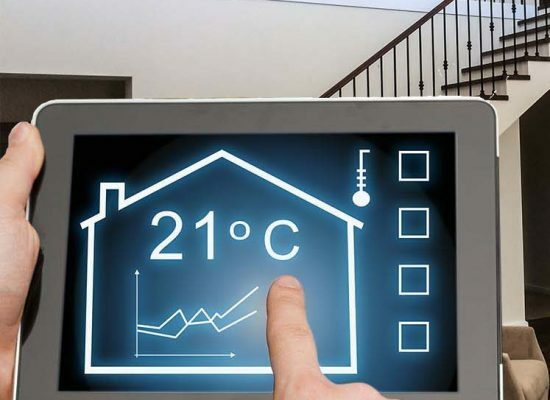 Central touchscreen informs you about everything important happening in your house. You can have your home under constant supervision even during your travels or holiday thanks to a connection to your cell phone or PC. 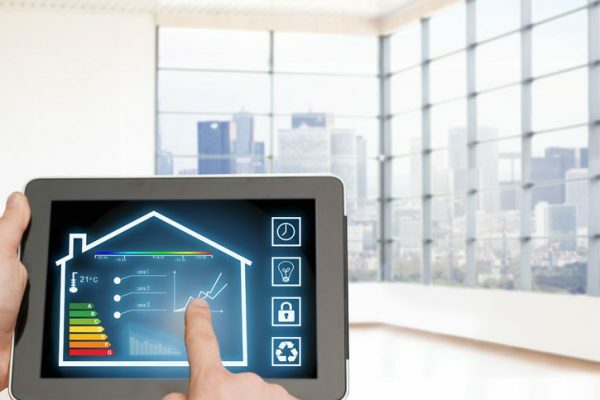 The smart system represents a complex solution for controlling smart homes, their energetic effectivity, data management, and integration of information from other infrastructure home systems (water supply, heating, electricity, etc.). Its peripherals are made with OEM technology by famous manufacturers. 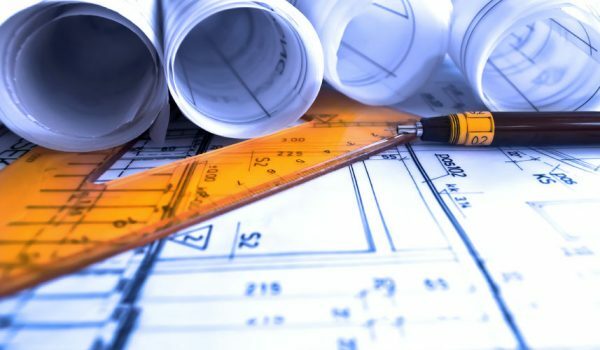 In cooperation with the building provider you can find and execute savings, through which it would be possible to achieve reduced energy consumption in the building by 10%. With historical consumption data assessment, if applicable, it is possible to suggest operational cost savings with minimal investment costs, to keep reasonable return on investments. Stavcomp s.r.o. deals with designs and realizations of swimming pool and wellness smart electro-installations. Swimming pools and wellness are energy, maintenance and time demanding. Using the electro-installation can reduce operational costs for swimming pool or wellness devices and at the same time increase your comfort.